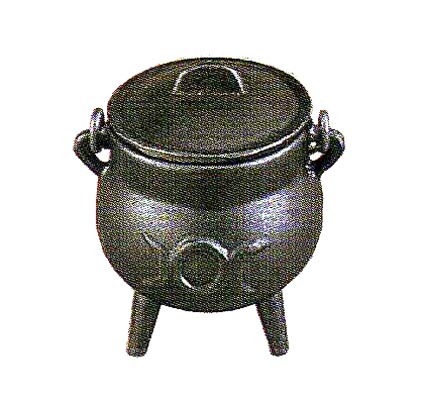 This small cast iron cauldron, a ritual tool often used to represent creation and rebirth, is marked with the symbol of the triple moon, representing the three faces of the Triple Goddess. These cauldrons are all individually sand molded and unique from every other. Made in a two part casting process; seams may be visable and rough on some cauldrons. 3.5" x 2.5 "